Just when you thought Justin's latest single couldn't actually get any better he goes and does this. We LOVE the new dance orientated direction Justin's music is moving in however sometimes you have to love a little bit of acoustic magic. 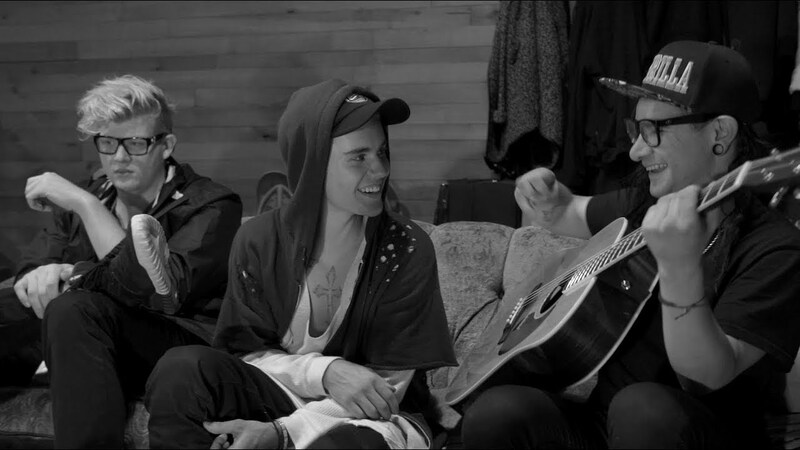 Justin was on hand to sit down with Skrillex and BLOOD recently to bust out this incredible rendition of his latest tune 'Sorry'. The catchy single stormed the Vodafone Big Top 40 on Sunday grabbing the No.2 spot just underneath Adele's latest track 'Hello'. Not content with singing his heart out, the Bieibz also had a little time to have a skate around with the EDM DJ too!